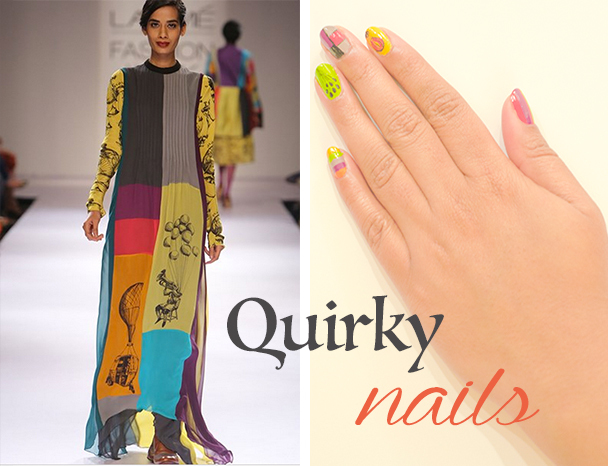 One of my favorite fashion and lifestyle labels in India is Quirkbox. Their Color blocked maxi dress from 2014 Winter/Festive fashion week was my all time favorite pieces. It is so colorful and quirky with fun details like balloons and autorickshaw print which makes it so authentically Indian. 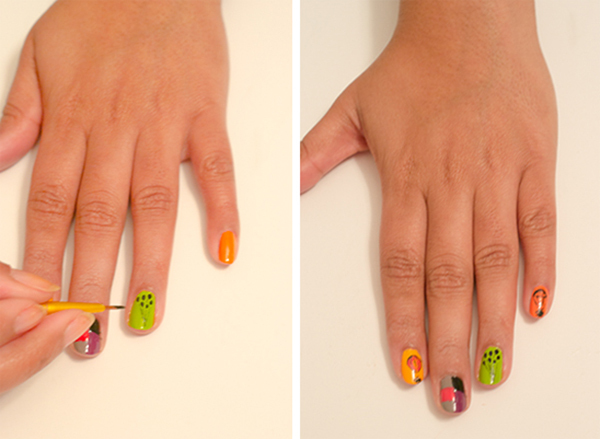 This weekend inspired by this chirpy piece we tried to bring their quirkiness to our manicure. 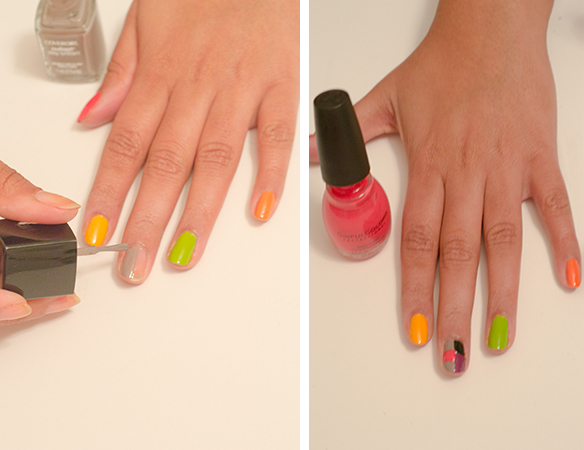 Here are the pictures of the nail art we came up with. Best thing about this design is we can play around with so many colors and it don’t have to be perfect. All you need is few of you favorite colors in complimenting shades and a thin brush.Hope you guys like this.